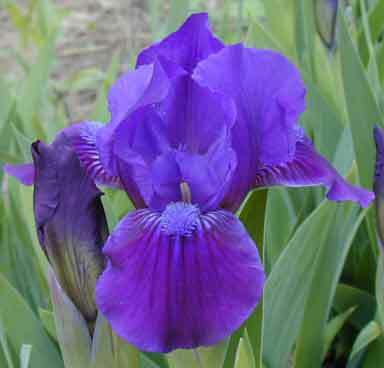 These Iris grow 8-15" tall and bloom here from early May to early June. 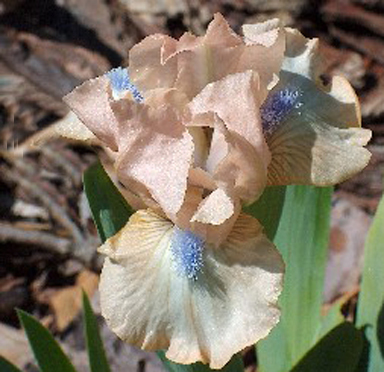 They quickly form clumps and have many colours not often seen in other types. 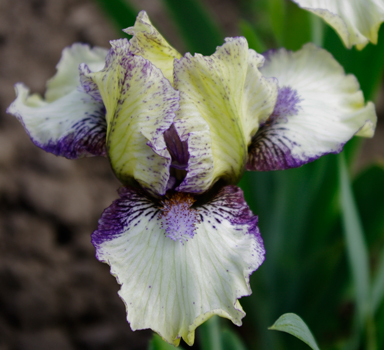 They do well in borders and rock gardens and tolerate shade better than the taller plants. Top award is the Cook Douglas Medal (CD). 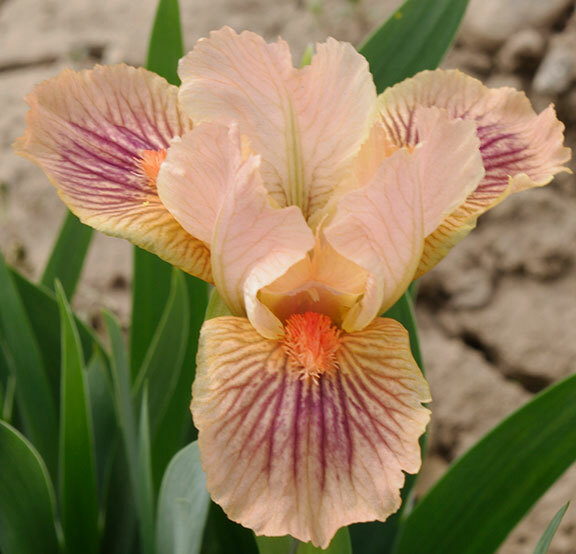 Sold Out ABSOLUTE JOY (Atkin 2006) M 10.5" Bright pink self, fuchsia purple spot on F.; beards coral pink. (Tiny Titan X unknown). HM 2008, AM 2010. Not Available 2018 ACID TEST (Blyth 2012) EM 12" S. apricot; F. apricot, tan veins radiating outward from beards, white blaze; beards white base, hairs tipped tangerine orange; slight sweet fragrance. 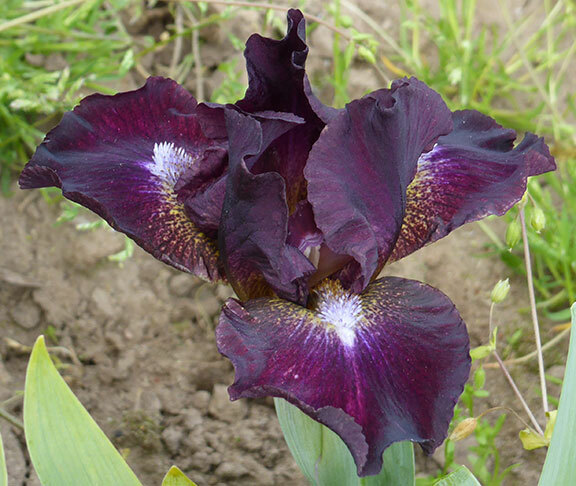 Nt Available 2018 ALL IS BRIGHT (Paul Black. 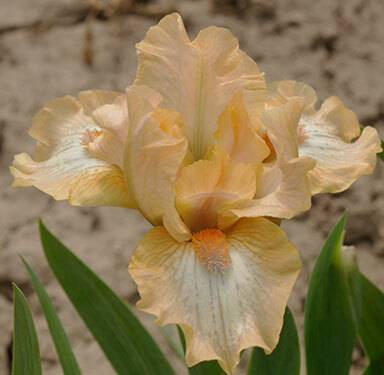 2011) 14" (36 cm), ML S. and style arms medium bright gold-yellow; F. same lightly washed orange, diffuse band slightly paler orange; beards fully saturated orange, big; pronounced sweet fragrance. 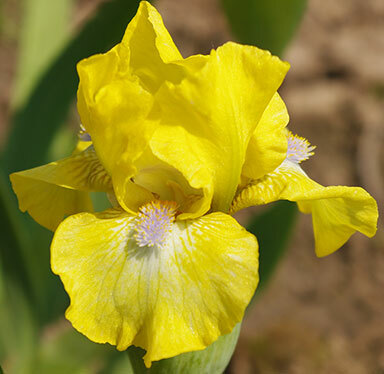 Sold Out AMBITIOUS ONE (T Johnson 2013) 12" E S. light yellow-green flushed deeper yellow in center, fine violet plicata ground petal edges and up midribs; style arms medium purple; F. white ground with yellow wash, violet plicata at hafts, fall petal reverse is yellow-green; beards orange in throat progressing to white at end, violet hair tips; musky fragrance . 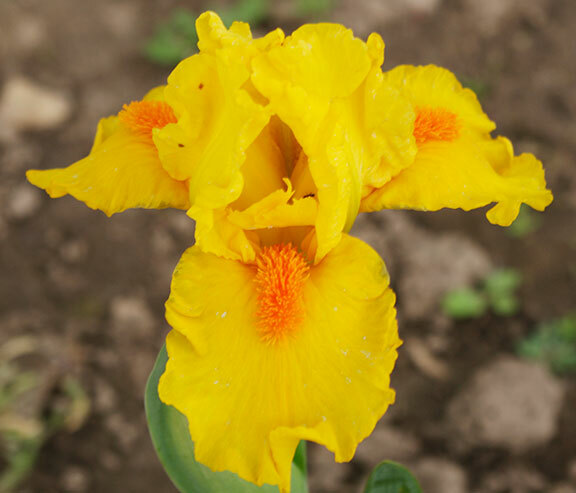 Not for sale 2018 ANNIE OAKLEY (G. Sutton 2012) EM12" Canary yellow with a small white spot below beards; beards lavender blue tipped marigold. 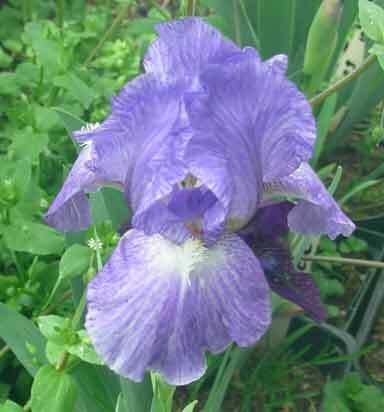 Not Available 2018 AZURE LIKE IT (Larry Lauer, R. 2005) 13.5" EM S. wisteria blue luminata wash overall; style arms wisteria blue; F. white, wisteria blue luminata wash extending downward, white area around beard; beards white, tangerine orange in throat; ruffled; slight sweet fragrance.